Fig1. – The K7 in the box. Fig2. – The K7 keyboard. Firstly excuse the pictures as this was before I got my photography setup. 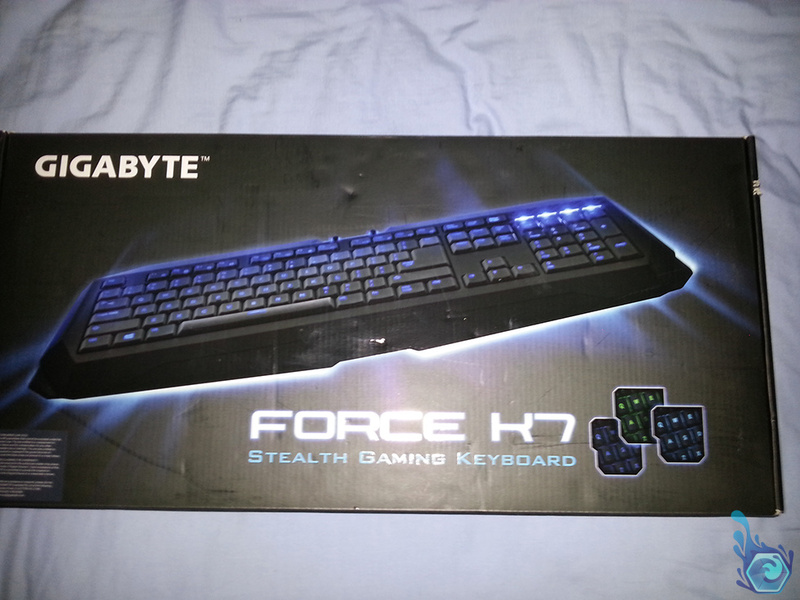 The Force K7 is a full-sized keyboard with slim laptop-style keys, a num-pad and the full range of function keys and arrow keys. There’s a couple of extra keys and Gigabyte has moved a few more around the board for a unique positioning style, such as the smaller backspace key to make room for a bigger enter key which I don’t understand as I use backspace MUCH more than enter. They’ve added a windows lock key which is the only change from a regular keyboard that I found to be useful, even though it could possibly be easier with a simple program that disables it when you’re in a game. 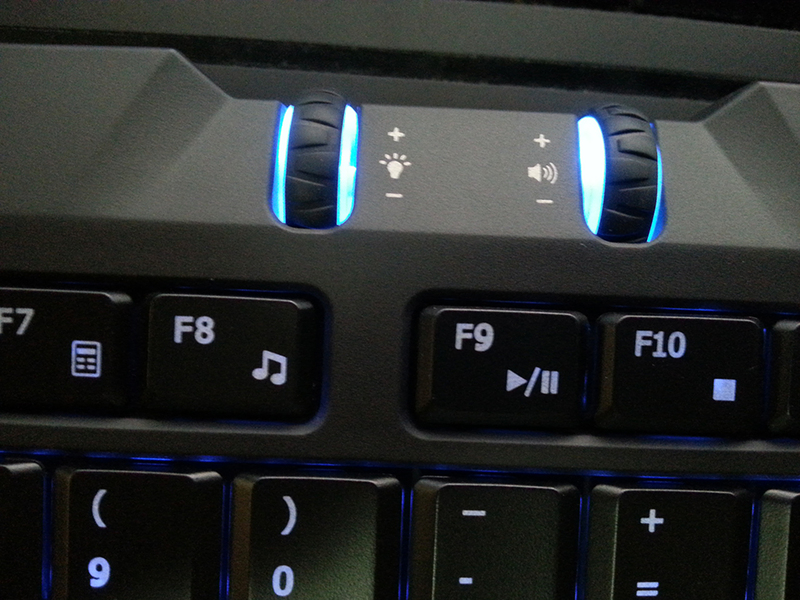 The other two buttons they added are at the top and are scroll wheel controls for the lighting and volume. Fig3. – The right side of the keyboard including the numpad. Fig4. 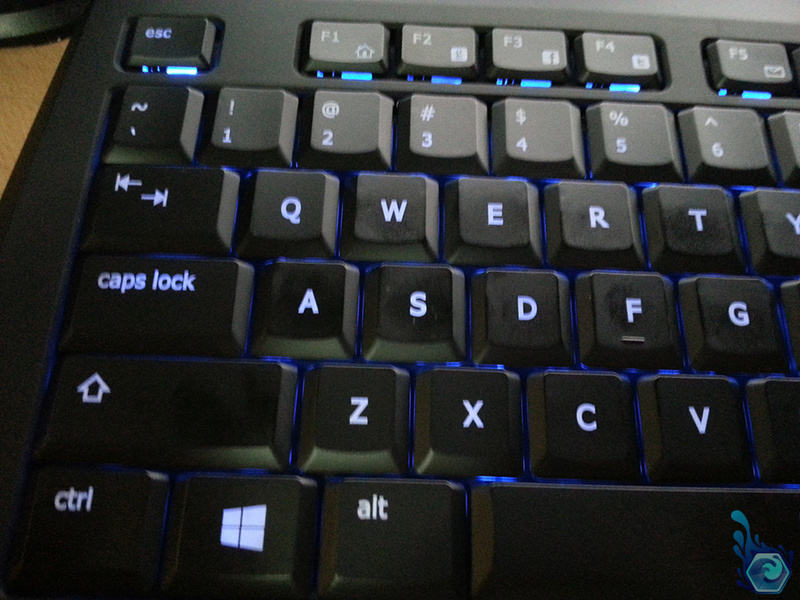 – The left side of the keyboard with blue lighting. The lighting is pretty nice, it’s only one color across the entire keyboard unlike the Corsair and Razer RGB keyboards which light up each letter and allow you to create amazing patterns for it. I like having my keys blue or sometimes red to match the mood i’m currently in or to match the game i’m playing. Unfortunately there’s no key profiles to match the color that’s currently selected like my Logitech G13 which I found to be very useful, I only had to look at the color to tell which profile was selected. The lighting scrolling button is fairly useful, scrolling up and down increase and decrease the brightness respectively and pressing it down cycles through the colors or turns it off after you’ve been through them all. There’s not a lot more to the lighting other than the obvious – They light the keys to make them easy to see at night which is mostly when I use my computer, even if you’re not a gamer a backlit keyboard is extremely useful for typing at night although I would recommend a different keyboard with only a while backlight instead. Fig5. 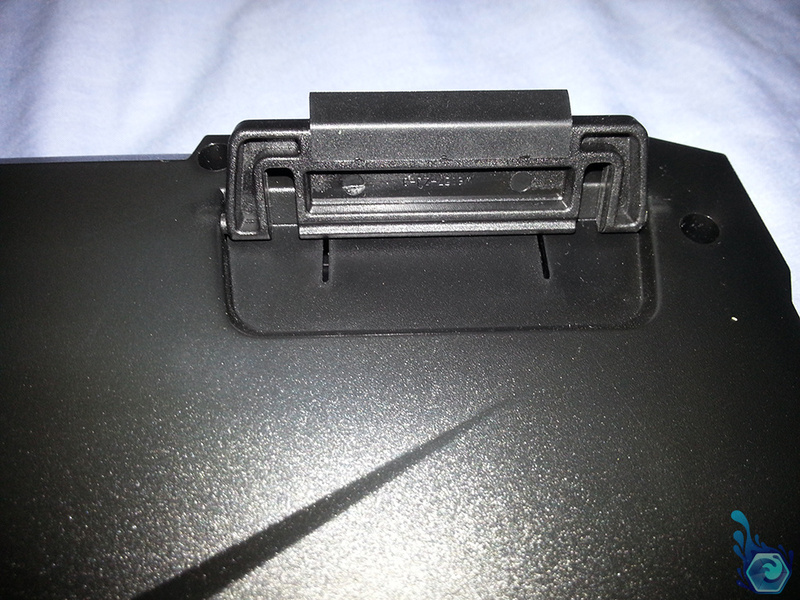 – Underside grip to prevent slipping. Fig6. – The new scroll buttons for lighting and sound. One of the things I absolutely hate about this keyboard is the tiny backspace key! It drives me insane when I can’t hit it quickly while typing and being a gamer I often make a lot of typing mistakes purely because I type so fast and often hit a letter before the one I wanted first. The worst part of it is because it’s so small and it’s situated next to a slash key you hit that by accident thus adding to the stockpile of incorrect letters on your screen and therefore having to press it even more times. Now to balance out the previous paragraph i’ll say what I think they did right. Honestly there’s not a lot difference to a typical backlit keyboard but a feature that I really liked was the responsiveness of the keyboard, sure it’s not a Cherry MX mechanical keyboard, but that’s a positive in my book as I hate the noise of mechanicals and you have to press the keys much farther then slim keys to get them to register allowing for faster typing. The keys feel like MX’s with a very quick spring back time and still a nice click feel to them without making much noise at all. Fig7. 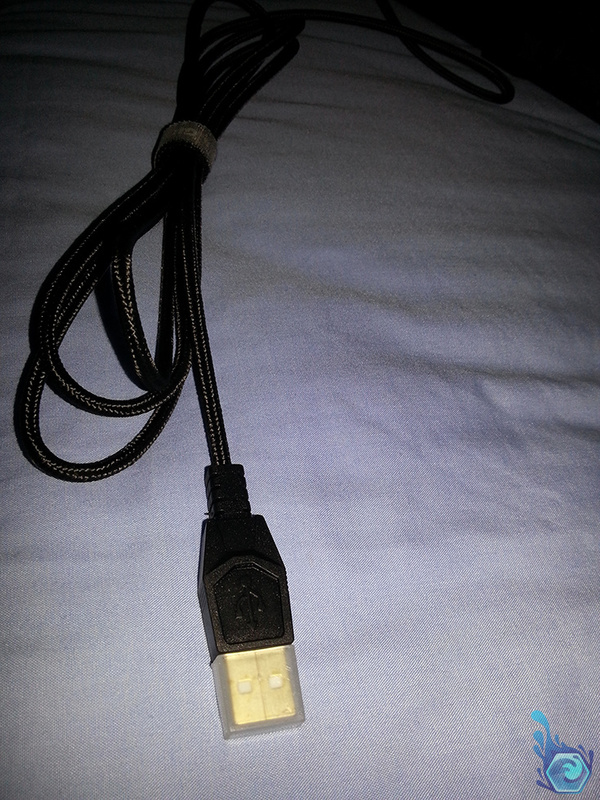 – The braided keyboard cable. Fig8. 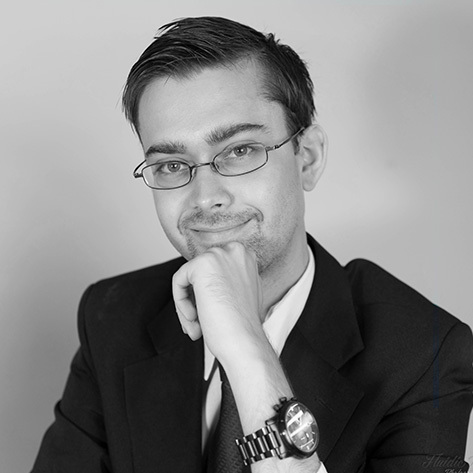 – The setup instructions. Overall this is a solid keyboard, but there’s not enough special about it to be worth buying unless you want something that lights up in multiple colors without breaking the bank for individual key backlit RGB’s. I hate the small backspace key and would actually like to go back to my Illuminated Logitech keyboard now. 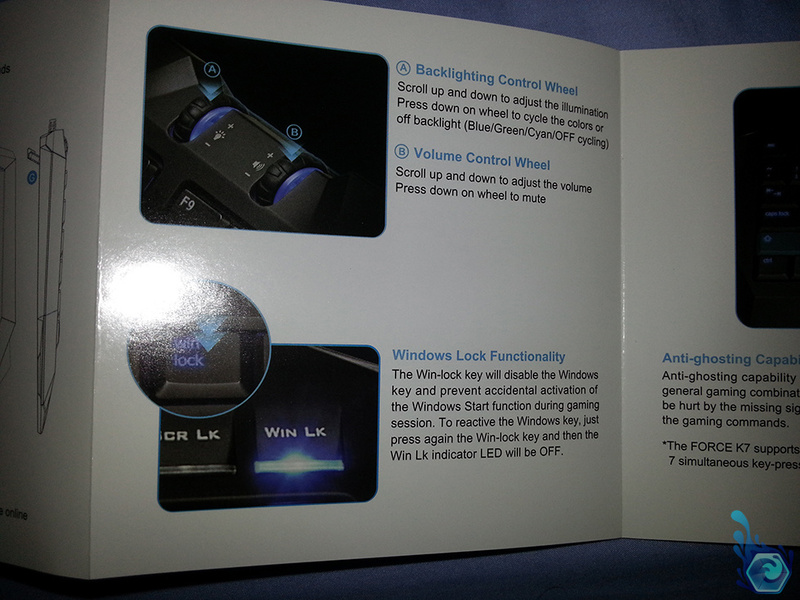 The only saving feature is the very responsive keys and the fact that the drivers have never crashed, it’s reliable. At $50 it’s not a bargain or expensive but it’s a fair bit cheaper then it’s rival RGB keyboards. 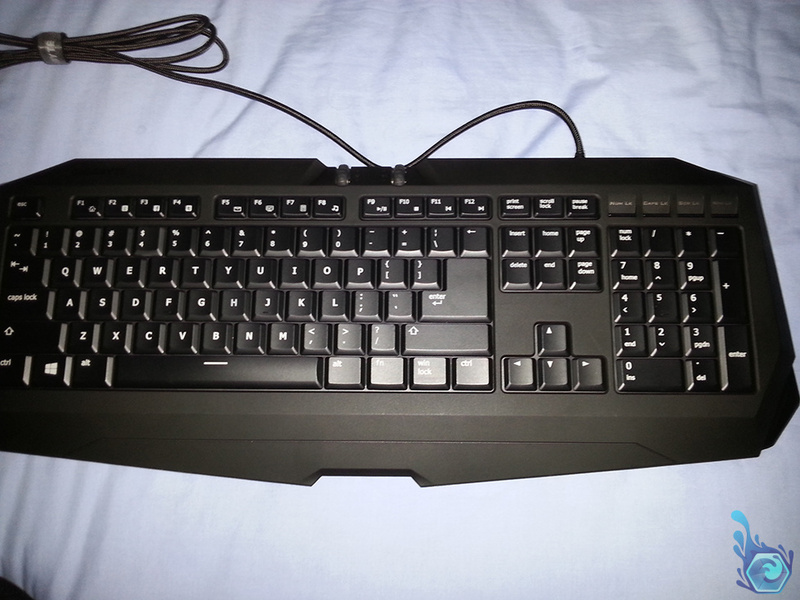 This is a very sturdy keyboard and won’t break easily with regular use. The keys are well made and have a nice click to them and can’t be easily pulled off. Without any macro keys this keyboard is regular sized including a numpad. 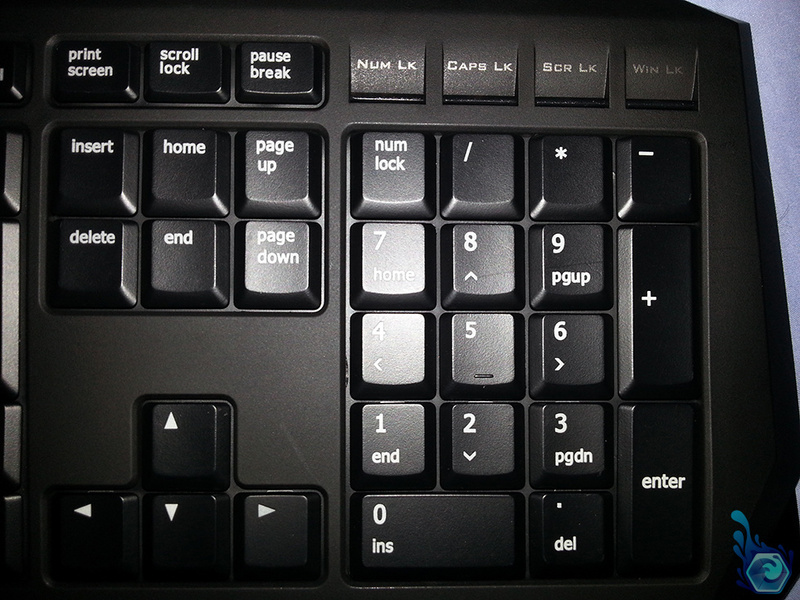 There’s few extra features such as the backlighting, but I hate the small backspace key. The keyboard looks fairly generic at first glance but it boasts a stealthy design and sticks to the gigabyte color scheme. I could see someone buying this if they have a budget and are a gamer but there’s not a lot of other features people would want. A sturdy well built keyboard but lacks functionality and has some poor layout decisions. Tagged Gigabyte, Keyboard, Review, Silicone Key. Bookmark the permalink.